Looking for just the right gift for the dads in our lives can be a bit tricky at times, can’t it? After all, they’re such a varied bunch, with different interests and habits, and for Christmas, you want to get just the right thing! We’ve had a bit of a look around and we think we can give you some pointers in the right direction, so come and have a look at the goodies we’ve found. Christmas is a great time to update the wardrobe, especially for Dad, who might not do it for himself as often as he should! 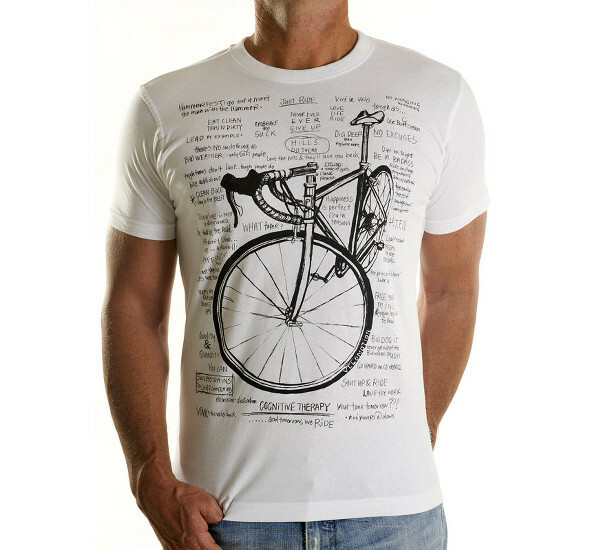 I’ve never met a man who didn’t appreciate a great t-shirt, and if you have a dad in your life who loves his bike, the Cognitive Therapy tee (above) from Cycology could be the one for you. It comes in at just $39.95, with free shipping worldwide. Speaking of a new wardrobe, here’s something for the days (and nights) when a t-shirt just won’t do. 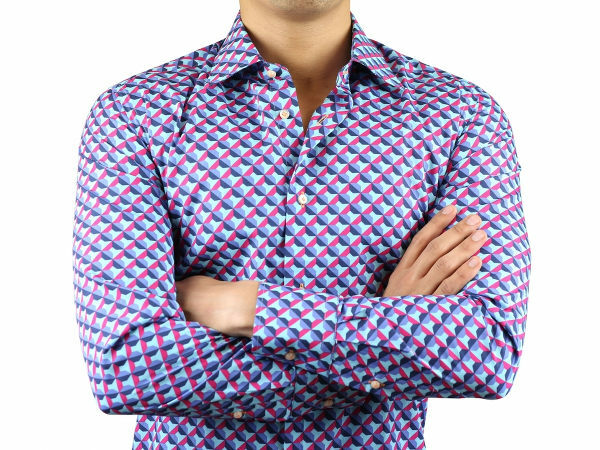 It’s a gorgeous new cotton shirt from French outfitter Coton Doux, which has an extensive range of shirts, ties and accessories just right for anyone who loves beautiful clothing. This one would set you back €69, and others are similarly priced. 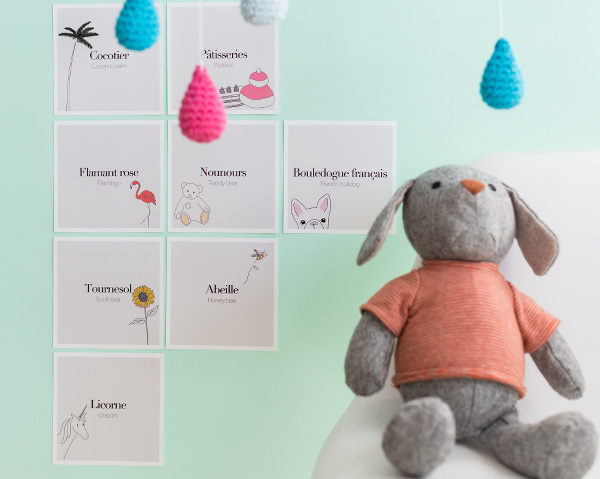 Coton Doux ships worldwide. 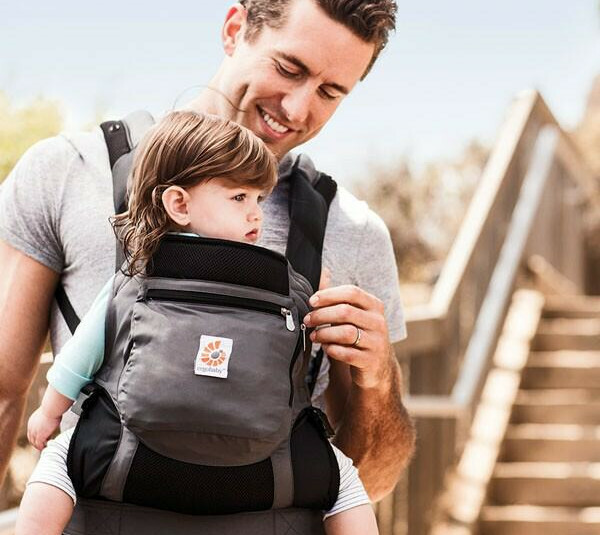 Here’s a practical gift for the dad who loves to get out and about with his little one – a baby carrier from the Ergobaby Performance collection. No longer just a gift for the mums – a quality baby carrier is the best way for dads to get active with their kids, and with all the styles available in the Performance collection, you’ll be sure to find something that suits the dad in your life. Prices begin at $209, and the Ergobaby will carry kids up to 20 kilos. He’s not 16 anymore, but that doesn’t mean dad can’t indulge his inner teenager and get around the place on a skateboard, especially if it’s as cool as these decks from Huddle & Co. 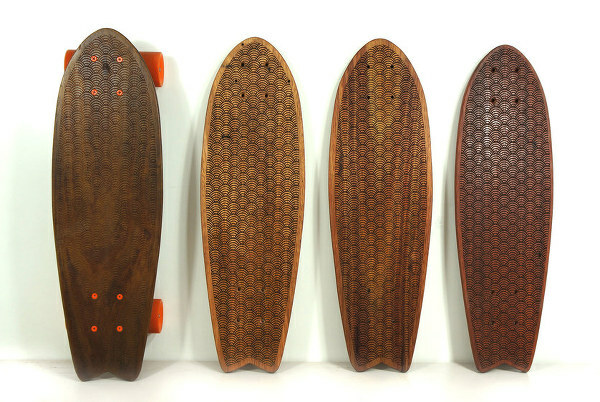 The catchily-named “Snapper” is a recycled timber deck, and has been laser engraved to expose the grain of the wood and provide texture so there’s no need for grip tape. It will set you back $99. What about a gift that keeps on giving? 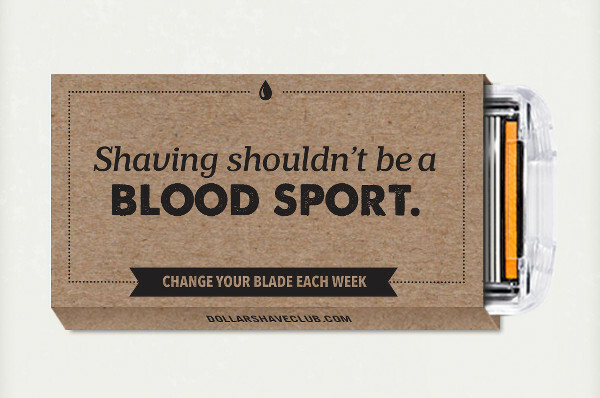 Dollar Shave Club has been around for a while in the States, but it’s fairly new to our shores, and it operates on a basic principle that’s true the world over – disposable razors get blunt fairly quickly, and hardly anyone replaces them as often as they should. They offer a subscription service – just sign up and new cartridges are delivered to your door every month (one for each week), and boy, is it cheap. The most basic service is only $4 per month, and even the most expensive one is only $10. If dad is a bit of a photographer, you can encourage (and benefit from) that skill with the help of Hapsnap. Just link up his social media and iPhone camera roll to Hapsnap and he can customise and order his prints with a couple of swipes. They’ll be delivered right to your door. You can see all the options and explore the process at Hapsnap, and prices for prints start at just 15 cents. Just the thing to get your family snaps out of the phone and into the real world! Everyone loves a new bag! 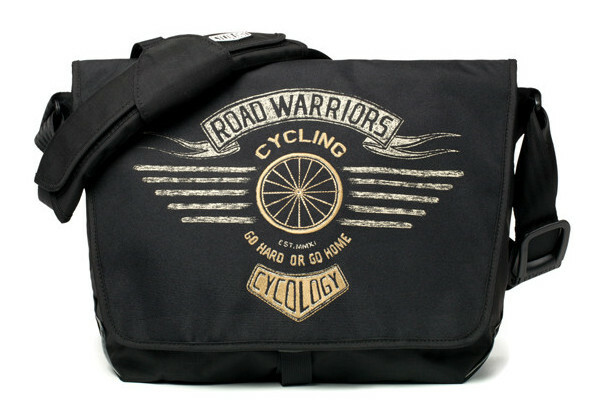 With space for a laptop as well as plenty of other bits and bobs, and made from weather resistant Cordura nylon, the Road Warriors Messenger bag from Cycology is a bag built for action. It has plenty of internal and external pockets, and even a reflective strip to help dad stand out while wearing it out at night. It’s $129.95 with free shipping worldwide. If dad – or granddad – is a bit of a gourmand at heart, he might really enjoy a Christmas hamper packed with delicious things just for him! 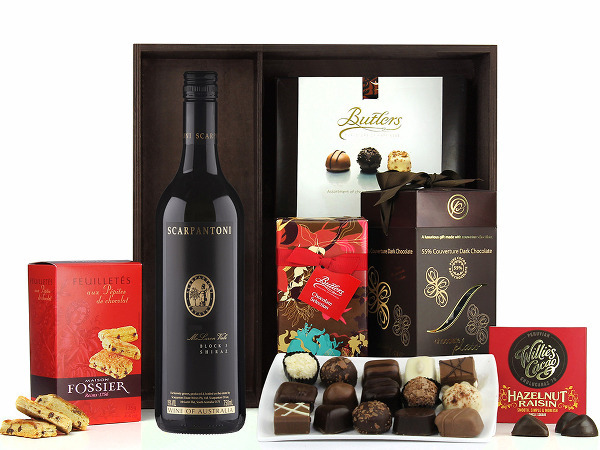 This one is the Chocolates and Red Hamper from The Hamper Emporium, and with four different selections of chocolate and truffles, it’s just right for the dad with a sophisticated sweet tooth. Also included is a 2009 McLaren Vale shiraz, and if you’re lucky, he might even share it with you. It’s $139 and delivery to your door anywhere in Australia is free. 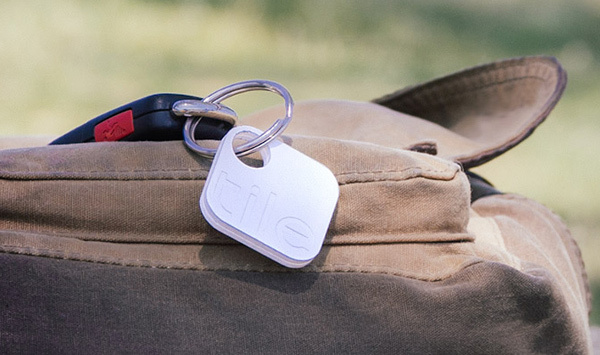 Dad will never lose his keys (or wallet, or the remote) again if you get him a few of these very clever Tiles for Christmas. Attach it to anything you like, and use your device with iOS (and capability for Android will be here soon) to track it. If it’s in your immediate vicinity (like, down the side of the lounge) as you get closer the Tile will make a louder and louder noise until you have it safe in your hot little hand. Dad could even attach one to each of the kids the next time you go anywhere crowded, for ultimate peace of mind! You can see all the clever things they do at Tile. Each Tile is US$20, but if you order three or more they will throw in free ones as well. What are they? Cufflinks! Although no longer the necessity they once were, nothing says cool like a great set of cufflinks, and if the dad you’re buying for doesn’t already have some, you need to rectify that. 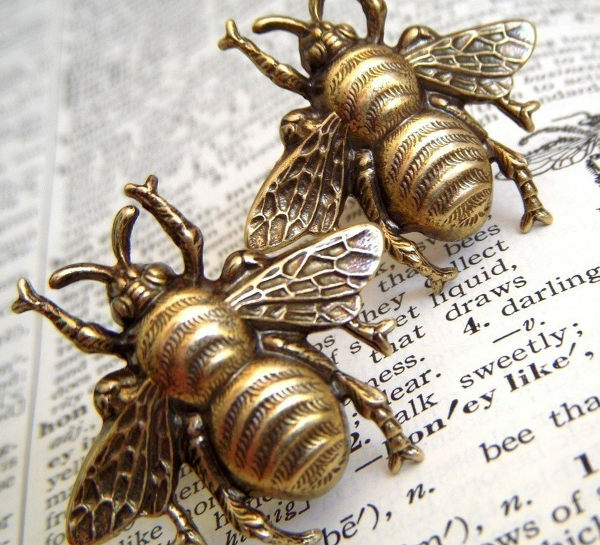 These ones are brass bumblebees from Etsy seller Cosmic Firefly, which sells a huge range of steampunk-inspired accessories. These ones are just $40. Here’s a bag for dad that not only looks great – it comes with a great story. 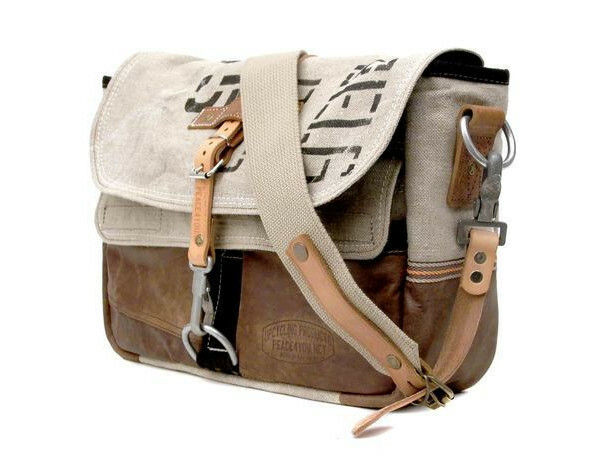 It’s the upcycled Belgian Military Post canvas bag from German-based Peace 4U Bags and you can pick it up from Down that Little Lane for $325. Although all that style looks brand new, it’s actually made from 60-year-old recycled Belgian postbags, used leather jackets and recycled leather schoolbags! That’s a bag with some serious history. Shipping to Australia is $35.